Camberwell is a district of south London and is part of the London Borough of Southwark. 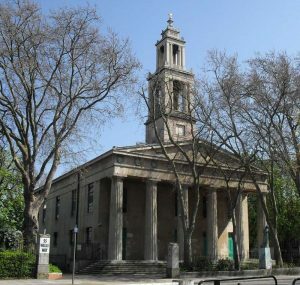 Camberwell has a well established arts scene and boasts several galleries including Camberwell College of Arts and the South London Gallery. Camberwell can be reached by car via the A202. Camberwell is well served by public transport and Denmark Hill is the main railway station. Lanes School of Driving has been teaching locals to drive since its inception in 1914. Lanes is well established in the community and has an outstanding reputation. Lanes offers driving courses which are carefully tailored to the needs of each pupil. Lanes specialises in intensive driving courses. Pupils have the option of taking theory classes along with their driving classes or as a separate theory course. After passing their test, pupils can further their learning with a selection of after pass courses including: Advanced Driving, Pass Plus, Motorway Driving, and Parking Skills. Lanes allows pupils great flexibility in booking their lessons. Pupils have the option of taking either regular weekly classes or single lessons as time permits. Lanes believes in offering pupils one on one lessons. In our experience pupils learn faster when they do not have to share their instructor with other pupils. Lanes have an range of superb modern vehicles for our pupils to use. As part of Lanes’ commitment to customer service, pupils can be collected and dropped off by their instructors. Lanes have been providing driving lessons in Camberwell, London for many years. Please call us today on 020 8166 5678 or click here to send us an email via the contact page. Lanes has a selection of over 40 experienced driving instructors. Pupils can decide which instructor is the best fit for them. Our instructors have taught a range of students from age 7 to age 70 and over. Instructors are aware first time drivers can be nervous and will provide comfort and reassurance. All of our instructors are Approved Driving Instructors and are registered with the DSA. Lanes is committed to ensuring each pupil retains the same instructor for the duration of their lessons. Lanes have a team of driving instructors in Camberwell, London. Please call us today on 020 8166 5678 or click here to send us an email via the contact page. Learning to drive can be daunting for some beginners. Female drivers are often worried about learning in the presence of a male instructor. This is why Lanes allows female pupils to elect to have a female driving instructor. Our female driving instructors are kind and easygoing. Consequently their pupils feel relaxed and unpressured. Lanes have a selection of female driving instructors in Camberwell, London. Please call us today on 020 8166 5678 or click here to send us an email via the contact page. Some students prefer to learn in automatic cars. Manual cars have an advantage in providing drivers with more control. Nevertheless automatic cars are much less intimidating for the beginner. The driving process is much less complicated and they are impossible to stall. We find that students make faster progress in an automatic car. Lanes have a selection of automatic driving instructors in Camberwell, London. Please call us today on 020 8166 5678 or click here to send us an email via the contact page.